Tamron has just announced the development of their first full frame mirrorless lens Tamron 28-75mm f/2.8 Di III RXD FE lens. According to TamronPhotoClub on Facebook, this 28-75mm f/2.8 Di III RXD Lens will be released in April to May, 2018. And it is to compete with Sony FE 24-70mm f/2.8 GM lens, while price is much cheaper than FE 24-70 GM lens. Price cheaper than Sony FE 24-70mm f/2.8 GM lens, image quality to compete with FE 24-70mm f/2.8 GM lens, and much better than FE 24-105mm f/4 G OSS Lens. Design of Tamron 28-75mm f/2.8 Di III RXD lens is not based on Tamron SP 24-70mm f/2.8 G2 lens. The RXD Stepper Motor technology is better than STM. This lens is designed to resolve 40+ megapixels like a7R III. In order to fit the Sony a7/a9’s size, Tamron uses 28mm at wide range instead of 24mm. 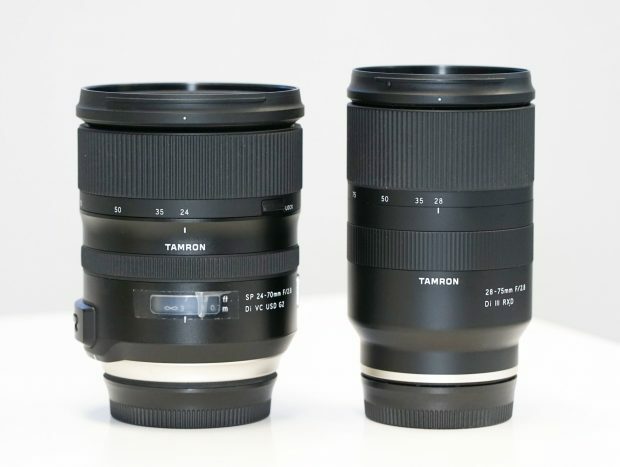 Tamron could also announce several wide zoom FE lens in late this year. Previous Previous post: Sony HVL-F60RM Wireless Radio Flash Announced, Price $599 ! Next Next post: Sigma 105mm f/1.4 DG HSM Art FE Lens for Sony E-mount Camera to be Announced Soon !